Discover the best castles close to Cumbre del Sol! Alicante is the perfect destination for both those who are looking for a few days of relaxation, and those who want to start a new life close to the Mediterranean Sea. 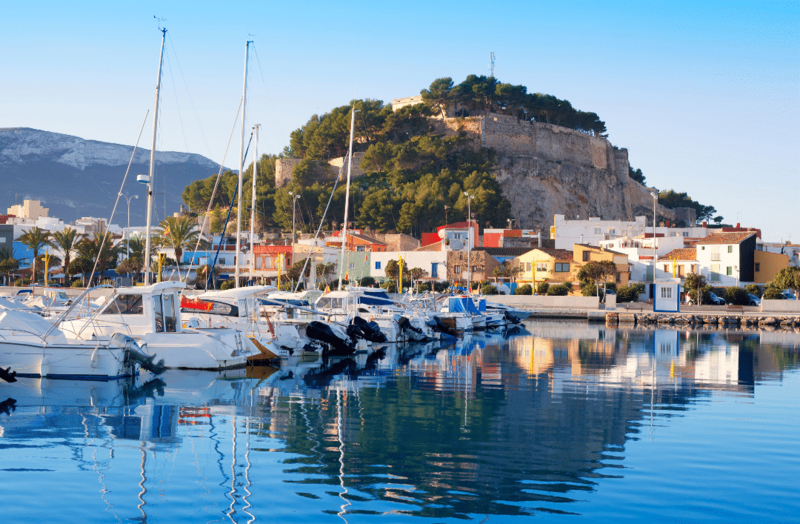 Beyond the beaches with crystal-clear water and the exceptional gastronomy of the Costa Blanca, the Alicante region is also known for its castles and fortresses whose incredible stories will transport you back through time. 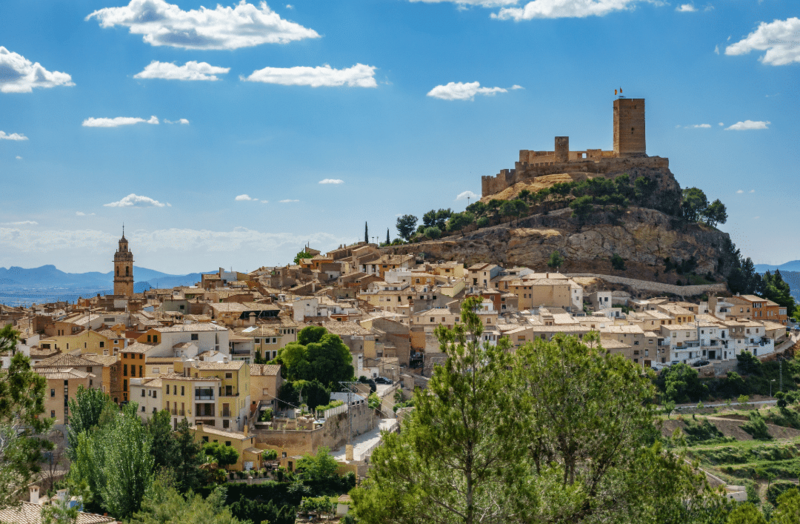 If you want to experience this adventure for yourself, the Alicante Provincial Council suggests following a Route of 100 Costa Blanca Castles on which you can discover the footprints left by different people and cultures over history. To start, we suggest you have a look at five of the best castles near Cumbre del Sol Residential Resort. The closest route to Cumbre del Sol is called “The Frontier of fear castle route”. The name recalls the history of these fortifications: the proximity to the sea helped the inhabitants to see when the enemy was approaching the Costa Blanca coasts. 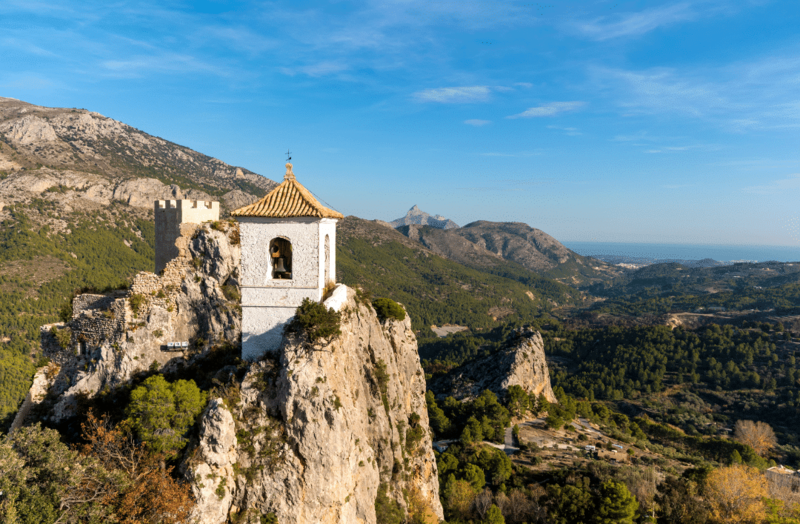 For this reason, we can add other towns like Altea, Calpe, Jávea and Denia to this list, among which the Guadalest and Denia castles stand out. Denia castle was built at the highest point of the town to be able to scan the horizon and watch out for any possible attacks. This characteristic gives us the chance to enjoy a wonderful view while visiting the castle. In the case of Guadalest, as soon as you get there, you will realise why it is known as one of the most beautiful villages in Spain. The San José Castle, embedded in the rock with the Guadalest reservoir behind, helps us understand why this location was an important fort during the Middle and the Modern Ages. If we travel south from Cumbre del Sol, we find the “Key to the Kingdom Route”. In this case, we are welcomed by the Santa Bárbara Castle, in Alicante, less than an hour’s drive from Cumbre del Sol. The imposing figure on the top of the Benacantil mountain is one of the most recognisable views of the capital of the Costa Blanca. However, the Castle houses much more inside. The artistic heritage from the Muslim era catches everyone’s attention while walking along the castle esplanade, but the favourite part for all those from Alicante is at the top. From the lookout point, you can admire one of the best panoramic views of the city and the Mediterranean Sea. Also in the province, we find the “Vinalopó Castles” route where we leave the coast behind for a while and enjoy a beautiful landscape dominated by plains and grapes. In this route, two must-see castles are the Banyeres de Mariola and the Biar castles. Both have a double walled enclosure built due to the strategic location. Both castles were built with the clear purpose of dominating a region in which the extensive valleys were once great battlefields. 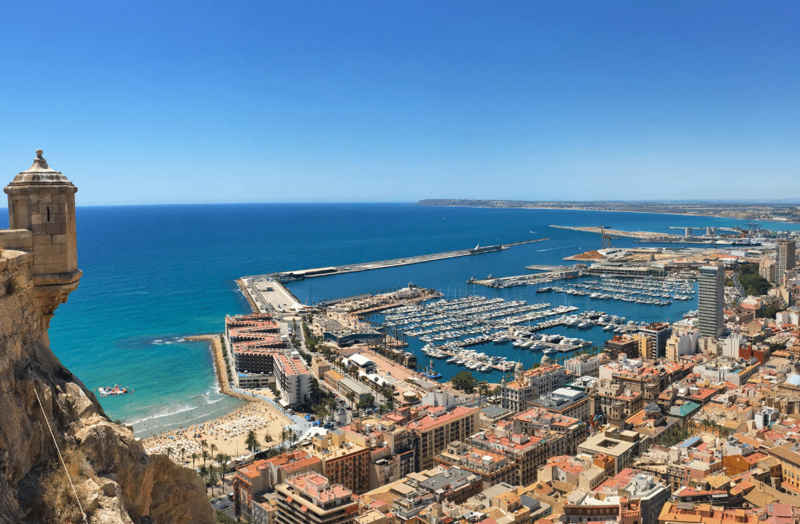 The Alicante region has several places that are very important from a cultural point of view, and in this post, we have talked about only a few of them! Have a look at all the castles routes suggested by the Alicante Provincial Council and choose one that piques your interest. Don’t think twice – come to discover the rich history of the Costa Blanca!